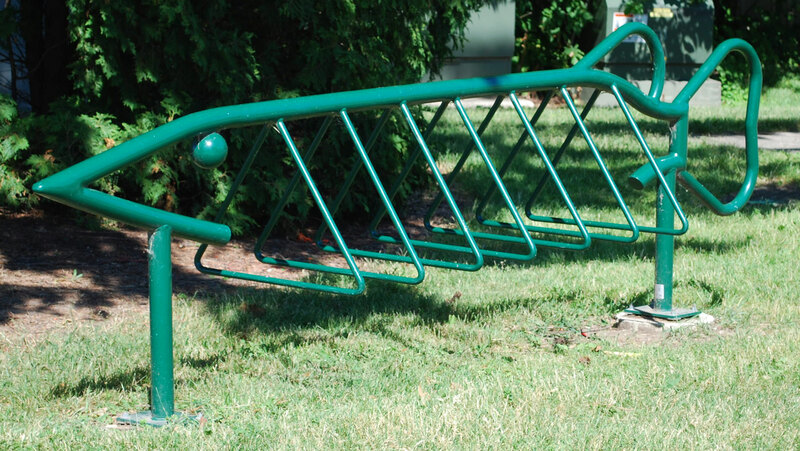 Maple Bluff had been searching for a bike rack manufacturer but had not found anything comparable until they reviewed Madrax's production and custom bike rack capabilities. They then decided to partner with Madrax to engineer custom designed racks for their parks. Client: In the Village of Maple Bluff, a vibrant community off the shores of Wisconsin's Lake Mendota, residents enjoy outdoor activities year-round in Maple Bluff's six parks that total over 13 acres. 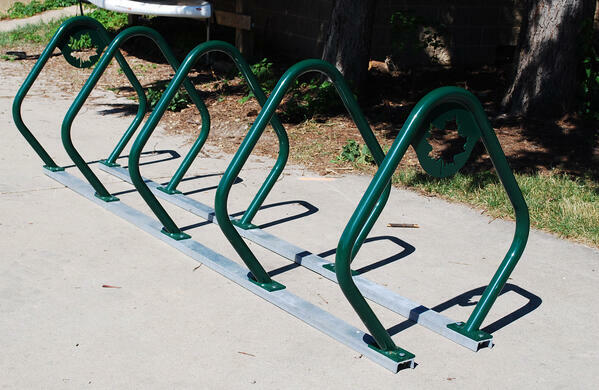 Both residents and Maple Bluff employees at the Parks & Recreation department knew that an upgrade was in order for the current bike racks in the parks, which were rusty and falling apart. Then chance brought Hilary Graber, treasurer and customer service manager at Madrax, to an event at the village, where she connected with a member on the village board. Curt knew that he wasn't getting a standard product from Madrax. He believes that due to Madrax's company size and flexibility during the design phase, they were able to deliver unique customized bike racks that met his every specification. Curt strongly believes that Madrax is "top of the line in terms of appearance," and that the quality of Madrax's product defines the company. Results: Today, both the maple leaf bike racks and the muskie bike rack stand a year later, and are "working really well, with no sign of winter use or significant scratch marks," according to Curt. Curt would definitely reorder from Madrax, and the Village of Maple Bluff community is happy too. It's apparent that the custom racks are popular with residents and visitors alike. Simply move throughout the area, and you'll see the racks in use just about any time of the day.